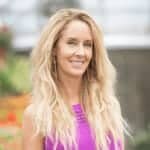 So you’ve been reading about chia seed and wondering about chia health benefits—I know this, because I get lots of questions! Yep, I’m talking about the little black things that grow the chia pet, which has far surpassed its As-Seen-On-TV fame to become better known as a crazy nutritious superfood. I used to pay $18/lb for these tiny nutrient power bombs, but as chia seed has become more mainstream and is finding its way into everyday products like granola and protein bars, the price has come down, and it is much more affordable. Chia seeds have become more affordable in recent years, so it’s a great time to add them to your diet. So what’s all the buzz about chia? Does it really live up to the hype, and how do you eat it? Chia are the edible seeds of the plant Salvia hispanica, which is part of the mint family (although they do not taste minty). These small seeds come in black and white, but you will most often find them black, in stores. They might be new on your superfood radar, but chia seeds have been used for their abundant nutritional properties since ancient times and were a staple of the Aztec and Mayan diets. Used in similar ways that we do today, they ground it into a flour, pressed it into oil, and mixed in water and citrus to make naturally-hydrating drinks like iskiate, which you may know as a chia fresca. Chia is typically grown in its native Mexico and Guatemala, several other Central and South American countries, the United States, and Australia. 1. Chia seeds are highly nutritious. Chia is considered a complete protein, meaning it contains all nine amino acids that are essential in the human diet, which cannot be built by the body from other raw materials. Who knew the seeds you watered to sprout “fur” out of a terracotta animal could be so good for you? 2. Chia helps regulate blood sugar. Strategize your chia consumption by eating it alongside meals rich in healthy carbs. 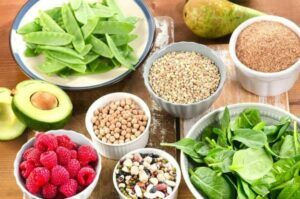 Chia’s healthy fats keep the other carbohydrates that you’re eating from entering the bloodstream too quickly; rather, it allows them to release slowly, for steady energy. 3. Chia seeds are a fantastic hack for keeping cravings at bay. I don’t like to eat after dinner, so I use this great hack if I get cravings or still feel a little hungry after a meal. What I do is mix a chia fresca: a large spoonful of chia seeds with a glass of water, and chug it. The chia seeds absorb 10 times their own weight in fluids,³ so this little tip not only helps me stay hydrated, but also it keeps me satisfied until I’m ready for bed. You can also add a little citrus juice to flavor it, if you’re not keen on drinking it plain. Adding chia seeds to smoothies or yogurt or sprinkling them on your meal can help keep you fuller longer, too. 4. Chia supports and soothes membranes of your digestive system. What gives chia seeds their gel-like property when soaked with water is a special type of fiber called mucilaginous fiber. A few other foods, like flaxseed, have this quality as well. This special fiber’s functions in the digestive system are twofold: first, it helps soothe the lining of the digestive tract, and second, it stimulates your system to produce more protective mucus to both aid in elimination, and avoid peptic ulcers caused by stomach acid eroding the mucosal wall. 5. Chia can aid in weight loss. The mucilaginous fiber in chia absorbs toxins, making it fantastic for weight loss. The connection between toxins and stubborn fat cells may not be apparent at first, but the increasing exposure to toxic air, food, water, and products does impact the way the body copes with the overload. One of these coping mechanisms is enlisting fat cells to surround toxins, insulating them in order to keep the rest of the body safer.4 As long as fat cells have this important job to do, they’re going to stick around. Mucilagenous foods like chia draw and absorb toxins as they pass through the digestive tract, so they can eliminate safely. When the toxins are gone, the fat cells’ job has been eliminated—and permanent fat loss can result. 6. Chia can be used as a thickener in a variety of recipes. Chia tastes like nothing, really. It will not change the flavor of a recipe, though it may impact texture with its thickening properties. For instance, you can sprinkle it in a bowl of oats or put it in a smoothie for some added nutrition, but remember how absorbent the seeds are—they will dramatically thicken whatever you put it in. Add chia to all kinds of recipes as a thickening agent. For that matter, it’s a great thickener and binder for cooking and baking. 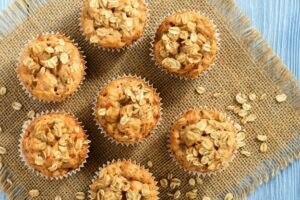 For vegan muffins, cakes, cookies, and more, chia makes and excellent binding agent. Try it yourself! Whisk 1 tbsp chia seeds in 1/4 cup water and you’ve got yourself an egg replacement for your baked goods! Chia’s thickening power also means that it is even perfect to make a healthy pudding. Try this delicious chia pudding for breakfast, or dessert, that features cinnamon and coconut! 7. Chia seeds are a great source of omega fatty acids. 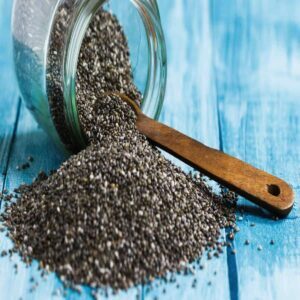 Chia seeds are packed with those rare, essential omega fatty acids that your body cannot manufacture and must receive from foods, in perfect proportions, too. Chia is one of the best plant-based sources of omega-3s—which are very important part of an anti-inflammatory diet, especially for heart health and brain and nervous system health—and contains even more than salmon. 8. Chia seeds are an amazing source of fiber that improves digestion. Aside from the mucilage soothing your intestinal wall, chia’s fiber gives you about 11 grams per ounce. That’s almost half your daily need (for a woman) in one serving! The type of fiber in chia is soluble, which makes sense when you think about how absorbent it is; it swells up with water and helps slow digestion, which is a good thing! This slow-down allows your body time to actually absorb nutrients properly, rather than having food go right through you. 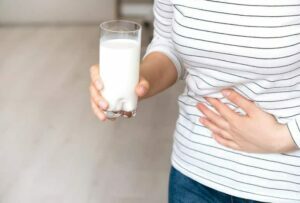 The body’s good bacteria partially digests, or ferments, soluble fiber to create short-chain fatty acids that feed gut cells and are then used as energy. 9. Chia seeds help your skin glow. Because of their super-high antioxidant content, chia seeds contribute to healthy, pretty skin by fighting free radical damage. Free radicals can contribute to rapid aging of the skin, and these little seeds’ antioxidants can help stop them in their tracks. 10. Chia seeds help prevent osteoporosis. Forget getting your calcium intake from cow’s milk! 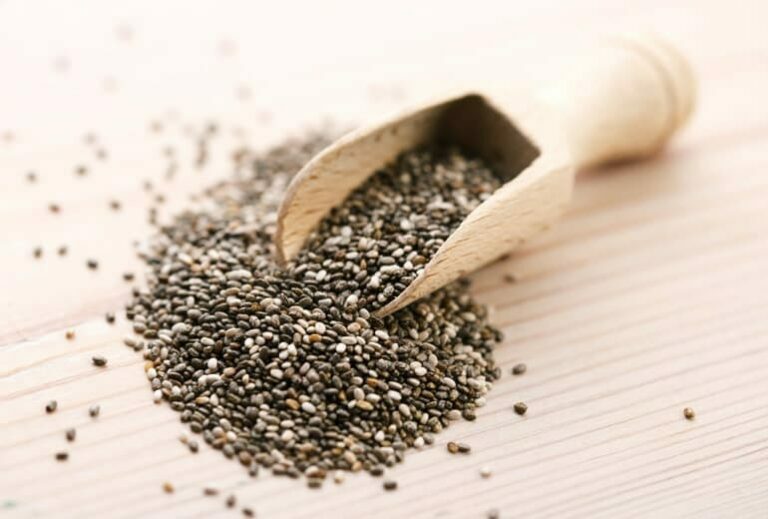 Along with chia’s protein, fiber, and heart-healthy fat, these seeds contain nearly six times the amount of calcium as cow’s milk (which you should be avoiding anyway). Dairy milk is high in calcium, but not in forms bioavailable to humans. (It’s a perfect food for baby cows, though.) Chia’s calcium is highly absorbable by humans. We often think of cow’s milk as a good source of calcium, but chia is actually a better option. This mineral is crucial for the health of your bones and can help protect against osteoporosis. However, calcium must be balanced with magnesium in order for the body to use it properly. Luckily, chia seeds contains magnesium as well, showing you how nature provides everything you need all in one package! 11. Chia keeps for a long time. As long as chia seeds are stored properly, they can keep well for up to two years! Omega-3 fatty acids are sensitive to degradation, so keep the seeds in an airtight container in a cool, dark, dry place like the back of a cabinet, or in your fridge or freezer if you want them to last even longer than two years. Some recipes call for ground chia–if you plan to use it this way, it’s best to grind it fresh when you need it, rather than beforehand. If you need to grind chia ahead of time, though, keep the ground chia meal in the freezer to avoid spoilage. Did you know sprouting chia seeds can increase many of its amazing benefits? Sprouting nuts and seeds removes the phytic acid that surrounds them, unlocking the vitamins and minerals that, if placed in the soil, would grow into a plant. While sprouting is easily done with most nuts and seeds, chia’s mucilage makes it a little messy to do at home. One easy way to get the health benefits of sprouted chia is to buy it already commercially sprouted, then gently dried below 100 degrees and cold ground (to keep the live enzymes intact) into a versatile powder. 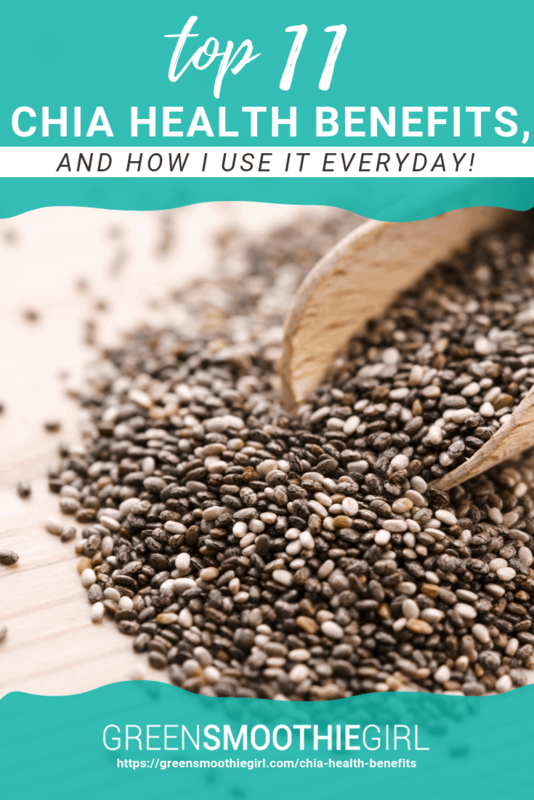 Sprouting stabilizes the fatty acids in the seeds and, once they are dried and ground, keeps them from growing rancid much longer than regular ground chia–two years or more. The downside is that sprouted chia powder can be expensive, but if you can find it as part of a blend of other sprouted seeds, like flax, it brings the price down. I use it every day in my smoothie! Chia’s health benefits have earned it a place in my daily routine, and as part of my high-nutrition food storage, both as organic seed and in a sprouted blend along with flax and broccoli seeds. Check out a few favorite chia recipes, as well as ways to use it as a sprouted seed mix. Chicco, AG et al. “Dietary chia seed (Salvia hispanica L.) rich in alpha-linolenic acid improves adiposity and normalises hypertriacylglycerolaemia and insulin resistance in dyslipaemic rats.” The British Journal of Nutrition. 2009 Jan;101(1):41-50. doi: 10.1017/S000711450899053X. Epub 2008 May 20. Are Chia seeds good for you if you have diverticulosis? How many chia seeds should you aim to consume on a daily basis. 1 TB, 2TB? ?